Frontier Airlines Launches New Low-Cost Flights From Tulsa, Okla.
Today, Frontier Airlines celebrated the launch of new low-cost, non-stop flights to Denver from Tulsa International Airport. Frontier and airport officials will mark the day with a ribbon-cutting ceremony and other festivities at the departure gate. 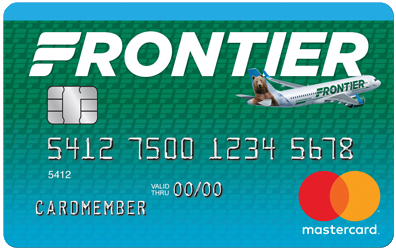 To celebrate the launch of its new service, Frontier is offering fares as low as $39 available at FlyFrontier.com. The start of these low-cost, non-stop flights comes just two weeks before the carrier will add new non-stop service to Orlando, Fla.; San Diego and San Jose, Calif. and Washington – Dulles. Service to San Diego and Orlando commences on April 8, with service to San Jose and Washington-Dulles starting on April 11. These flights will provide the only flights to Orlando’s preferred airport, and the only service between Tulsa, San Diego and the San Francisco Bay Area. more text or tables here. Fares must be purchased by 11:59 pm Eastern time on March 16, 2018 for nonstop travel through May 23, 2018. Travel is valid on Tuesdays 7-day advance purchase is required. Tickets purchased at FlyFrontier.com must be paid for at the time the reservation is made, you may request a full refund up to 24 hours after the time of purchase, if the purchase is made 7 days (168 hours) or more prior to your flight's departure. This ticket may be canceled and refunded at the My Trips section on FlyFrontier.com. Additional travel services, such as baggage (https://www.flyfrontier.com/travel-information/baggage/) and advance seat assignments (https://www.flyfrontier.com/travel-information/seating-options/) are available for purchase separately at an additional charge. Fares include all transportation fees, surcharges and taxes, and are subject to change without notice. Some markets do not offer daily service. Schedules are subject to change.